Instagram plus is the modded version of the official Instagram app. 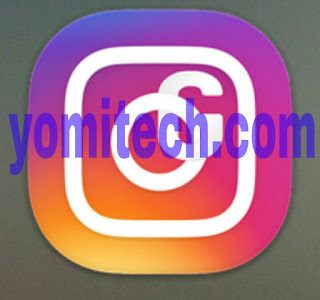 The Instagram plus app is developed by OGmods who also happens to be the developer of OGYouTube and OgBB. The modded apps comes with a whole lot of unique features which can't be found on the official app. One of them is the ability to zoom on pictures. With Instagram Plus, you can zoom in on any pictures just by long clicking and then pinching to zoom in or out. You can also move around the photo by sliding your finger across the screen.Aside the ability to zoom in pictures you can also share direct links straight from the app, you can use more than one Instagram app on the same device simultaneously (OGInsta) and you can also download Instagram pictures and Video directly from the app without the help of any third party app. => Follow indicator (You'll see if someone is following you). => You can view profile pictures (Long click). => You can enlarge pictures (Long click). => Download any video or picture. => Auto start videos with or without sound. => And many more features. 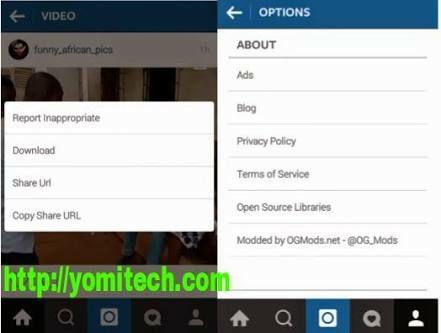 Note: If you want to use more than one Instagram account/app on your phone then you have to download both the Instagram plus and OGInsta. As for me it is not very convenient solution to this problem, I hope as soon as someone is still able to write a custom desktop applications for it cuz it is gonna be more practical to download an instagram photos.